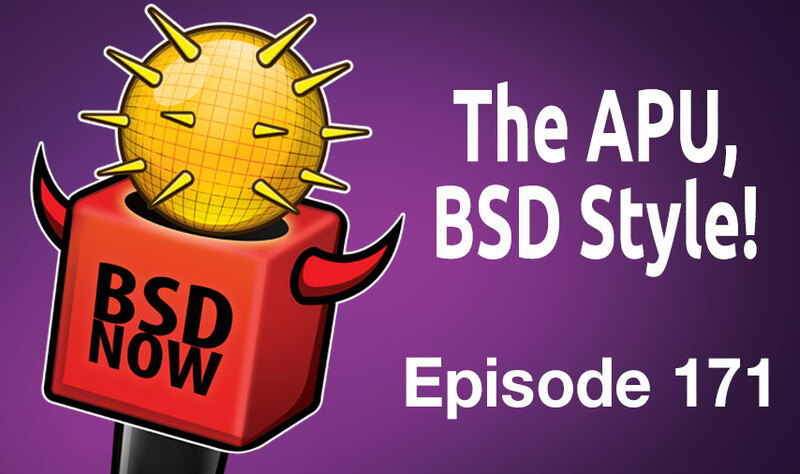 Today on the show, we’ve got a look at running OpenBSD on a APU, some BSD in your Android, managing your own FreeBSD cloud service with ansible & much more. Keep it turned on your place to B…SD! The driver used for wireless networking is athn(4). It might not work properly out of the box. Once OpenBSD is installed, run fw_update with no arguments. It will figure out which firmware updates are required and will download and install them. When it finishes, reboot. They also detail why they moved away from their beloved Macbook, which while long, does describe a journey away from Apple that we’ve heard elsewhere. Brian then details how he setup the partitioning and performed the initial Arch installation, getting it tuned to his specifications. The article is split into two parts (we will bring you the next installment at a future date), but he leaves us with the plan of attack to build a custom OpenBSD kernel with corrected PCI device identifiers. We wish Brian luck, and look forward to the “rest of the story” soon. Howto setup a FreeBSD jail server using iocage and ansible. Setting up a FreeBSD jail server can be a daunting task. However when a guide comes along which shows you how to do that, including not exposing a single (non-jailed) port to the outside world, you know we had a take a closer look. This guide comes to us from GitHub, courtesy of Joerg Fielder. Ansible playbook that creates a FreeBSD server which hosts multiple jails. Travis is used to run/test the playbook. No service on the host is exposed externally. All external connections terminate within a jail. Roles can be reused using Ansible Galaxy. Combine any of those roles to create FreeBSD server, which perfectly suits you. To get started, you’ll need a machine with Ansible, Vagrant and VirtualBox, and your credentials to AWS if you want it to automatically create / destroy EC2 instances. freebsd-jailed-sshd – Provides a jailed sshd server. freebsd-jailed-wordpress – Provides a jailed WordPress server. From there it is pretty straight-forward, just a couple commands to spin up the VM’s either locally on your VirtualBox host, or in the cloud with AWS. Internally the VM’s are auto-configured with iocage to create jails, where all your actual services run. A neat project, check it out today if you want a shake-n-bake type cloud + jail solution. Earlier this year, we announced that we started using the bsdiff algorithm (by Colin Percival). Using bsdiff, we were able to reduce the size of app updates on average by 47% compared to the full APK size. This post is actually about the second generation of the code. A far more sophisticated algorithm, which typically provides roughly 20% smaller patches, is described in my doctoral thesis. Jesse Smith over at DistroWatch has done a pretty in-depth review of Nas4Free. The review starts with mentioning that NAS4Free works on 3 platforms, ARM/i386/AMD64 and for the purposes of this review he would be using AMD64 builds. After going through the initial install (doing typical disk management operations, such as GPT/MBR, etc) he was ready to begin using the product. One concern originally observed was that the initial boot seemed rather slow. Investigation revealed this was due to it loading the entire OS image into memory, and the first (long) disk read did take some time, but once loaded was super responsive. The next steps involved doing the initial configuration, which meant creating a new ZFS storage pool. After this process was done, he did find one puzzling UI option called “VM” which indicated it can be linked to VirtualBox in some way, but the Docs didn’t reveal its secrets of usage. Additionally covered were some of the various “Access” methods, including traditional UNIX permissions, AD and LDAP, and then various Sharing services which are typical to a NAS, Such as NFS / Samba and others. One neat feature was the built-in file-browser via the web-interface, which allows you another method of getting at your data when sometimes NFS / Samba or WebDav aren’t enough. Most of the NAS operating systems I have used in the past were built around useful features. Some focused on making storage easy to set up and manage, others focused on services, such as making files available over multiple protocols or managing torrents. Some strive to be very easy to set up. NAS4Free does pretty well in each of the above categories. It may not be the easiest platform to set up, but it’s probably a close second. It may not have the prettiest interface for managing settings, but it is quite easy to navigate. NAS4Free may not have the most add-on services and access protocols, but I suspect there are more than enough of both for most people. Where NAS4Free does better than most other solutions I have looked at is security. I don’t think the project’s website or documentation particularly focuses on security as a feature, but there are plenty of little security features that I liked. NAS4Free makes it very easy to lock the text console, which is good because we do not all keep our NAS boxes behind locked doors. The system is fairly easy to upgrade and appears to publish regular security updates in the form of new firmware. NAS4Free makes it fairly easy to set up user accounts, handle permissions and manage home directories. It’s also pretty straight forward to switch from HTTP to HTTPS and to block people not on the local network from accessing the NAS’s web interface. All in all, I like NAS4Free. It’s a good, general purpose NAS operating system. While I did not feel the project did anything really amazing in any one category, nor did I run into any serious issues. The NAS ran as expected, was fairly straight forward to set up and easy to manage. This strikes me as an especially good platform for home or small business users who want an easy set up, some basic security and a solid collection of features. The goal: Run C, C++, Go and Node.js programs as processes in browsers, including LaTeX, GNU Make, Go HTTP servers, and POSIX shell scripts. Linux, FreeBSD, and Unix-like systems are multi-user and need some way of authenticating individual users. Back in the old days, this was done in different ways. You need to change each Unix application to use different authentication scheme. Before PAM, if you wanted to use an SQL database to authenticate users, you had to write specific support for that into each of your applications. Same for LDAP, etc. So Open Group lead to the development of PAM for the Unix-like system. Today Linux, FreeBSD, MacOS X and many other Unix-like systems are configured to use a centralized authentication mechanism called Pluggable Authentication Modules (PAM). The book “PAM Mastery” deals with the black magic of PAM. There is also a chapter about using one-time passwords (Google Authenticator) for your application. The sysadmin would find this book useful as it covers a common authentication scheme that can be used with a wide variety of applications on Unix. You will master PAM topics and take control over authentication for your organization IT infrastructure. If you are Linux or Unix sysadmin, I would highly recommend this book. Once again Michael W Lucas nailed it. The only book you may need for PAM deployment. Ken Thompson’s “cc hack” – Presented in the journal, Communication of the ACM, Vol. 27, No. 8, August 1984, in a paper entitled “Reflections on Trusting Trust”, Ken Thompson, co-author of UNIX, recounted a story of how he created a version of the C compiler that, when presented with the source code for the “login” program, would automatically compile in a backdoor to allow him entry to the system. This is only half the story, though. In order to hide this trojan horse, Ken also added to this version of “cc” the ability to recognize if it was recompiling itself to make sure that the newly compiled C compiler contained both the “login” backdoor, and the code to insert both trojans into a newly compiled C compiler. In this way, the source code for the C compiler would never show that these trojans existed. The article starts off by talking about a content to write a program that produces its own source code as output. Or rather, a C program, that writes a C program, that produces its own source code as output. The C compiler is written in C. What I am about to describe is one of many “chicken and egg” problems that arise when compilers are written in their own language. In this case, I will use a specific example from the C compiler. The actual bug I planted in the compiler would match code in the UNIX “login” command. The replacement code would miscompile the login command so that it would accept either the intended encrypted password or a particular known password. Thus if this code were installed in binary and the binary were used to compile the login command, I could log into that system as any user. Such blatant code would not go undetected for long. Even the most casual perusal of the source of the C compiler would raise suspicions. Next “simply add a second Trojan horse to the one that already exists. The second pattern is aimed at the C compiler. The replacement code is a Stage I self-reproducing program that inserts both Trojan horses into the compiler. This requires a learning phase as in the Stage II example. First we compile the modified source with the normal C compiler to produce a bugged binary. We install this binary as the official C. We can now remove the bugs from the source of the compiler and the new binary will reinsert the bugs whenever it is compiled. Of course, the login command will remain bugged with no trace in source anywhere. So now there is a trojan’d version of cc. If you compile a clean version of cc, using the bad cc, you will get a bad cc. If you use the bad cc to compile the login program, it will have a backdoor. The source code for both backdoors no longer exists on the system. You can audit the source code of cc and login all you want, they are trustworthy. The compiler you use to compile your new compiler, is the untrustworthy bit, but you have no way to know it is untrustworthy, and no way to make a new compiler, without using the bad compiler. Acknowledgment: I first read of the possibility of such a Trojan horse in an Air Force critique of the security of an early implementation of Multics. I can- not find a more specific reference to this document. I would appreciate it if anyone who can supply this reference would let me know. 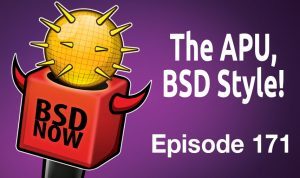 FreeBSD SA-16:37: libc — A 26+ year old bug found in BSD’s libc, all BSDs likely affected — A specially crafted argument can trigger a static buffer overflow in the library, with possibility to rewrite following static buffers that belong to other library functions. HardenedBSD issues correction for libc patch — original patch improperly calculates how many bytes are remaining in the buffer. From December the 27th until the 30th there the 33rd Chaos Communication Congress is going to take place in Hamburg, Germany. Think of it as the yearly gathering of the european hackerscene and their overseas friends. I am one of the persons organizing the “BSD assembly” as a gathering place for BSD enthusiasts and waving the flag amidst the all the other projects / communities.